I buy a lot of stuff over the Internet. The perception is that "it just turns up" and with Cable chick it does - fast and efficient. I ordered my cables on a Sunday, they were here on the Tuesday - terrific! S-Video Cable products for the best quality AV Accessories at the lowest prices every day! 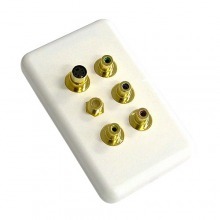 High-end NEOTECH SVHS, Component, Composite Video & F-Type Coaxial Wall Plate + FREE SHIPPING! 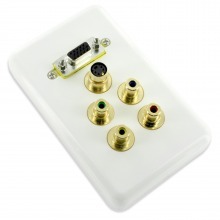 High-end NEOTECH VGA, SVHS, Component & Composite Video Wall Plate + FREE SHIPPING! Amped Classic S-Video and 3x RCA Composite + L & R Audio (White Wall Plate) + FREE SHIPPING! Avencore Self-Fastening Hook'n Loop Cable Ties (6-Pack, 2 Sizes) + FREE SHIPPING! 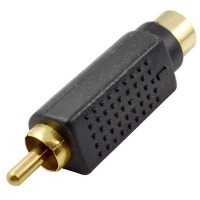 Composite Video (Female) S-Video (Female) Gold Plated Adaptor + FREE SHIPPING! 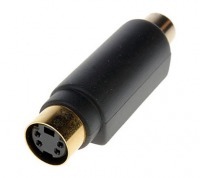 Composite Video (Male) S-Video (Female) Gold Plated Adaptor + FREE SHIPPING! S-Video Coupler / Joiner (Female to Female) + FREE SHIPPING! 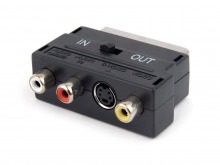 SCART to 3RCA + S-Video Adaptor with Direction Switch + FREE SHIPPING! Most Popular S-Video Cable! In-Stock & Ready to Ship!